Posted November 24, 2016 by William Martin & filed under Headlines. The director for the next block of filming on Doctor Who‘s new season has been revealed. 12 new Doctor Who episodes have been filming in Cardiff since June and will begin airing on BBC One in April 2017. The fourth block of filming, comprised of episodes written by Jamie Mathieson and Rona Munro, has just completed filming. Episode 5 and Episode 9 were directed by Charles Palmer, who directed 2007’s ‘Smith and Jones’, ‘The Shakespeare Code’, ‘Human Nature’ and ‘The Family of Blood’. 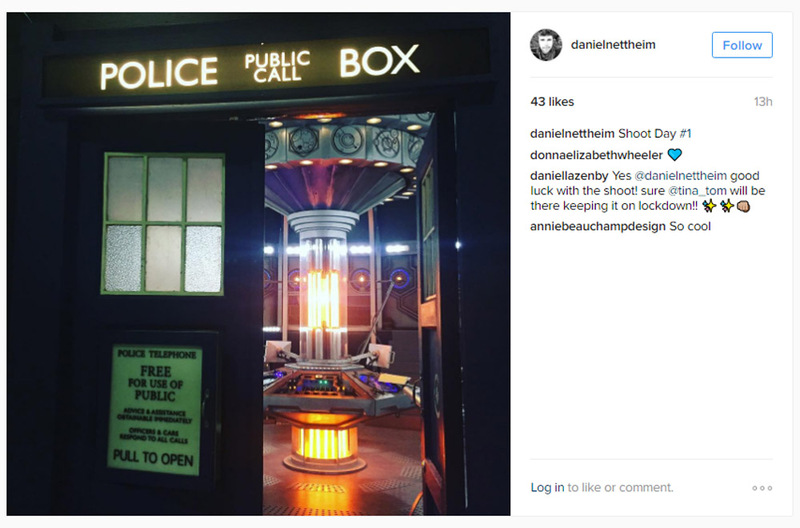 Line of Duty director Daniel Nettheim has now confirmed on Instagram that he will be helming Block 5, which began production yesterday. Block 5’s writers have not yet been confirmed, but the episodes are believed to feature the return of Michelle Gomez as Missy. Nettheim directed last year’s acclaimed ‘The Zygon Invsion’ and ‘The Zygon Inversion’ story. Buy the complete Season 9 box set on DVD on Amazon here. Buy the complete Season 9 box set on Blu-ray on Amazon here. The Australian filmmaker has also previously directed episodes of Humans, Whitechapel and Glue.